How Discord Crypto Signals can make you a Better Trader? Discord signal groups are one of the best ways to educate yourself to make informed trading decisions. These translate to bigger and better profits! Learn all about how Discord signal groups can get you there. Cryptocurrencies have seen explosive growth in the last few months. 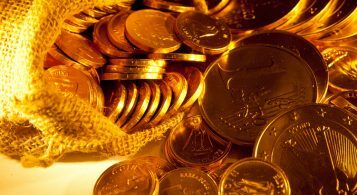 It is becoming more and more accepted as a serious financial investment among investors, and their options seem unlimited, with more coins coming out exponentially every day, with more coming in the horizon. While this is good for growth, it’s also a hurdle for acceptance since there is so much conflicting and confusing information that can turn off starting investors, or worse, make them lose money to completely quit the game. How Discord Platform is used for Crypto Signals? How Discord can benefit the crypto community out there? How Crypto Discord Servers ensure a level of certainty/quality for signals? This is a shame, as cryptocurrencies are a rewarding investment opportunity given the right information. Thankfully, crypto signal groups exist to aggregate this information and make sound analysis for the benefit of traders. Do a search for these signal groups, and you’ll undoubtedly see a few of them running their operations on Discord. It has increasingly become the platform of choice in recent months. Signal groups such as Bitcoin Bravado, Coin Observatory, and CryptoPro400, among others, all have a presence on Discord. Unlike Telegram, Discord offers robust features to help manage communications in the group and help rank and rate helpful comments, helping avoid problems such as trolling or flooding by scammers and illegal bots. This makes it more ideal to building a community, something most crypto signal groups aspire to. Discord is a free Voice Over Internet Protocol (VoIP) software application originally designed for gamers and gaming communities. Its strength is in allowing users to communicate with each other with voice, chat, images, and videos – perfect for sharing video game information such as screenshots and replays. The features above make Discord a prime choice for gaming communities to get in touch with each other. While the core of Discord is free, it does offer paid features such as custom avatars and bigger file upload sizes. Discord is divided into servers, with each server containing channels. This makes it easy to create a server for, say, a specific game and organize all the different topics under it on individual channels. Discord is available on all major platforms like Android, iOS and desktop applications. Discord has over 130 million registered users, and while the bulk of its users are from the gaming sphere, it has grown beyond that since then. Its powerful communication features have attracted used by interest groups, from fantasy teams to financial trading. With technology this useful, of course, the crypto community will pick it up eventually. Back in the beginning, Slack was the communication tool of choice for the crypto community. But due to security concerns, a complete migration to the Discord platform emerged. It’s the perfect platform to host signals, training videos and other media information through its powerful Video Chat feature, low latency, bot integration, and powerful moderation tools. A useful feature in communicating Discord crypto signals is the use of bots. Bots are third-party software that can be used to help moderate and manage online communities, and Discord can be fully integrated with them. In the crypto sphere, bots are used to perform a variety of features, such as collecting news, coin data, and updates, as well as do some form of technical and fundamental analysis on this data using prediction algorithms. Through this in-depth analysis and prediction, it is possible to produce high-quality signals and communicate it through the Discord server to users. Signals in themselves are very useful and can help traders make informed trading decisions. Trusted signals can advise users on when to enter and exit a trade, as well as make reasonable assumptions on your margin, stop loss limits and profit limits. Signals are useful for the day trader, as they can give accurate on-the-minute updates in a field where fluctuations happen wildly in a single day. Discord makes this process easier and more robust by providing a powerful platform to communicate in and easily discuss it with other like-minded traders in the platform. This fast information sharing can lead to better decisions for you by taking these signals and insights from others to form a more well-rounded picture. As with any platform, however, there are still some shady scams lurking, posing as legit Discord signal servers. Again, due diligence is required on your part to make sure these are all legal and not just out to burn through your fund. As discussed above, Discord servers employ third-party bots to help with time-consuming processes such as collection of data and tracking of prices of certain cryptocurrencies. In addition, these bots can also employ prediction algorithms to analyze results to help inform predictions and decisions. Ultimately, the best signals still come from the human mind. Bots can help, and they can detect patterns faster and more efficiently than we can, but it is up to experienced and insightful people to interpret these results and come up with accurate signals. Therefore the people behind the best, most trusted Discord signal servers should be the ones whose opinions matter the most and has a good track record. The great thing about Discord is that it is a communication platform more than anything. Users and enthusiasts in these platforms can discuss and compare insights when it comes to these trading signals. It can make these signals more robust by considering the added insights gleaned from others. Used in tandem and wisely, it can enhance your trading decision making immensely. Coin Observatory prides itself as a community for training and supporting future traders, with their vision of creating “an army of the best crypto traders” around. More than just a signal provider, they offer more services to the user. This channel provides full support and all the knowledge, to the point that it’s completely possible to become a pro simply by following their advice. They combine accurate signals with a penchant for in-depth education to provide superb value. In fact, they have already trained some of their customers and elevated them to a place in their trading team. Coin Observatory provides signals for top exchanges like Bitmex, Binance and Bittrex. Signals are provided along with advice on how to properly maximize your profit potential with them and why they chose to go with the trade. That way, you can learn the mindset behind their decisions. This is an advanced trading group providing top-notch trading signals with an air of professionalism that shows in their amazing work. The great thing about this platform is that they work with Altcoins. They are solely about providing great signals at the proper time. No constant updates or useless “filler” content here. They give insights that few others even have on their arsenal. They only publish signals when they’re sure about it. If you’re a patient trader waiting for that key insight to make a surgically precise trade, this is a gold mine. It’s carefully curated, so you can be sure each is of superb quality. They offer Altcoin and Bitmex leverage trading signals. First, a disclosure to clear some confusion: BItcoin Compass is also the name of a scam perpetrated online that, unfortunately, shares the name of the 100% legit Bitcoin Compass. Just to reiterate, the Bitcoin Compass we’re talking about here is NOT THE SCAM. With that out of the way, this Bitcoin Compass is a valuable repository of information and signals started by very experienced people who have worked on big crypto signal channels before. Their comprehensive membership package includes a 1-hour consultation, access to trading signals, valuable mentorship and educational content, private channels and portfolio evaluation. They also provide a unique Bitcoin accumulation bot that gives advice on when and how to maximize your BTC stacks. It’s a feature packed platform that gives awesome value. 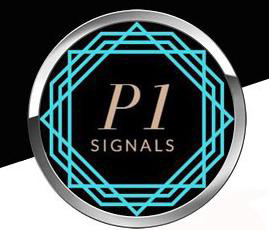 P1 Signals are all about the big picture. They advocate taking a more “forests for the trees” approach and their signals are structured in this way. While not poised for short-term explosive growth, their signals ensure a slow but gradual accumulation of profits that might be better in the long run. This makes them perfect for beginners learning how to trade, or for more relaxed traders who are patient enough to hold on for longer periods in lieu of better profits. P1 provides a platform for easy trading and can be an option if you want to further your career in trading. It drills in fundamentals and attitudes that can make you into a more relaxed but confident trader, and it shows in how they expertly manage swing trades. 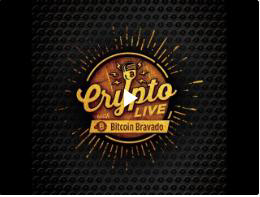 One of the biggest and veteran signal group out there is Bitcoin Bravado. First launched in 2015, it is composed of a community of cryptocurrency enthusiasts and finance industry experts and exists solely as an exclusive Discord membership group. They provide expert analysis and the best signals around by recruiting the top crypto traders in the industry. They also provide top-notch educational resources and crypto tools to make you a better trader. Bitcoin Bravado’s biggest advantage is their tenure. Having been around a long time, they acquired quite the knowledge base, and it makes for reliable signals. Discord brings a new way to communicate within the cryptocurrency community. It provides a powerful platform with a wide variety of media from video to photo at users’ disposal. The crypto community immediately maximize this tool to great effect, and the result is the proliferation of good trading signal channels on the platform. Discord signal servers give high-quality signals using automated bots to collect data and help in making a more accurate analysis. They also create a true community where users can trade insights and tips. This information-rich forum can be a bounty to any trader who knows how to use it correctly. There are also dangers with Discord if used irresponsibly. Lots of scams abound, and these are just out to get your money in exchange for less than accurate signals that can really cost you. As with anything, do your homework and take the time necessary to pick a trusted signal provider. Despite all these, Discord gives power and information at traders’ fingertips to make better trading decisions. From Bitcoin Bravado to P1 Signals, Bitcoin Compass to CryptoPro400 and Coin Observatory, they all have a selling point or more. No doubt these will help traders in their bid to make more profit.